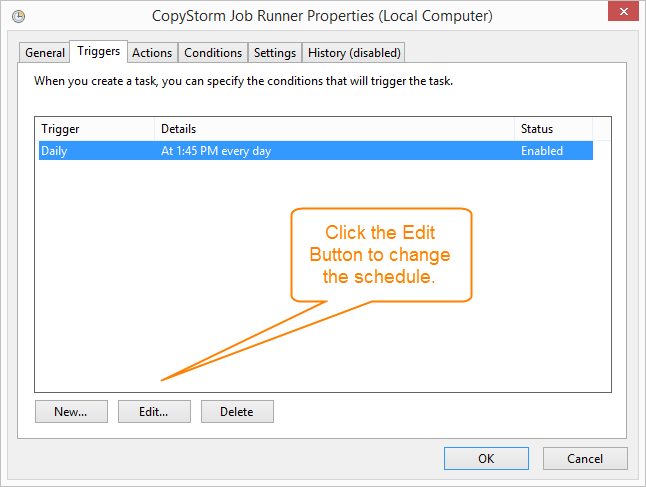 This article explains how to add CopyStorm/JobRunner to your system scheduler so it will run unattended on a schedule you specify. Multiple CopyStorm/JobRunner jobs will not interfere with each other. 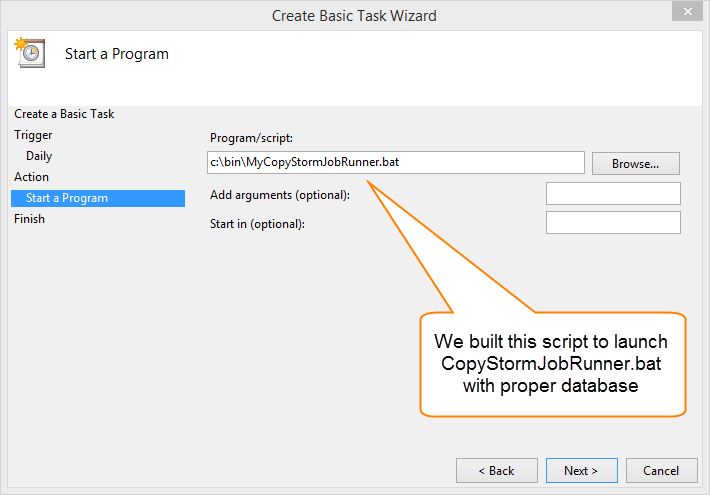 The limit on the maximum number of jobs to run at any one time is enforced across all running CopyStorm/JobRunner instances. Step 2: Linux/Mac Only: Add MyCopyStormJobRunner.sh to CRON. For more information about Crontab formats or background information on the cron scheduler, see the Wikipedia page for cron. 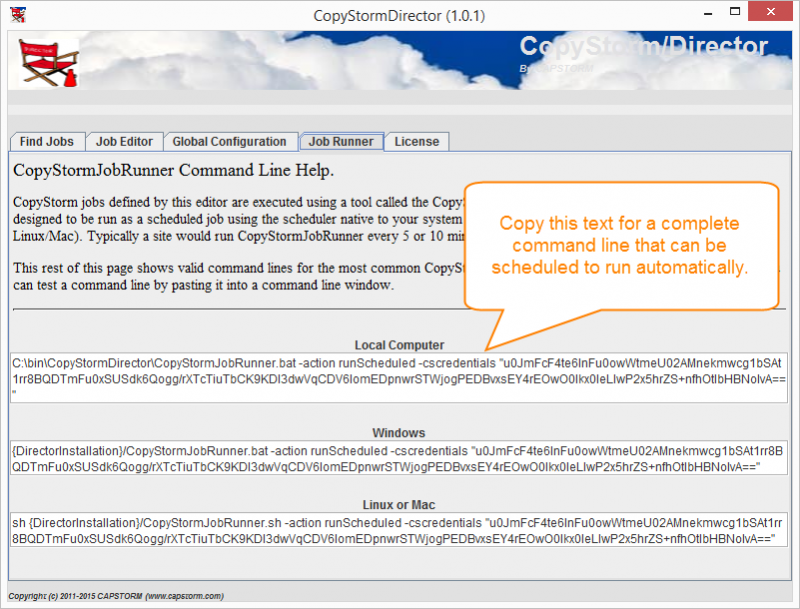 Use the command “crontab -e” and add an entry for MyCopyStormJobRunner.sh. 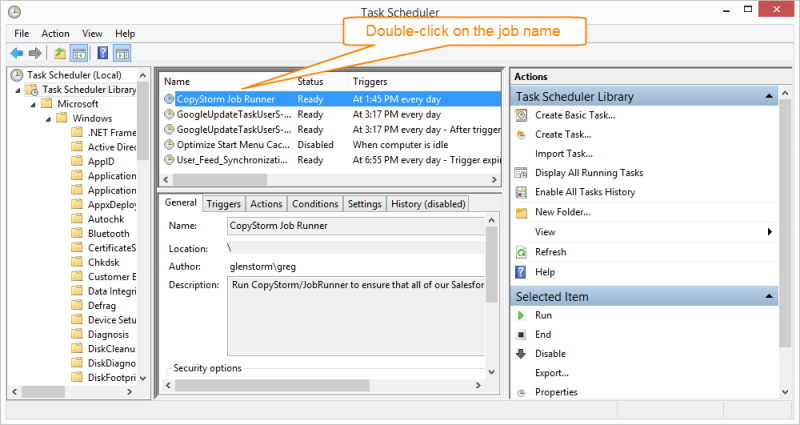 Step 3: Windows Only: Add MyCopyStormJobRunner.bat to the Windows Scheduler. 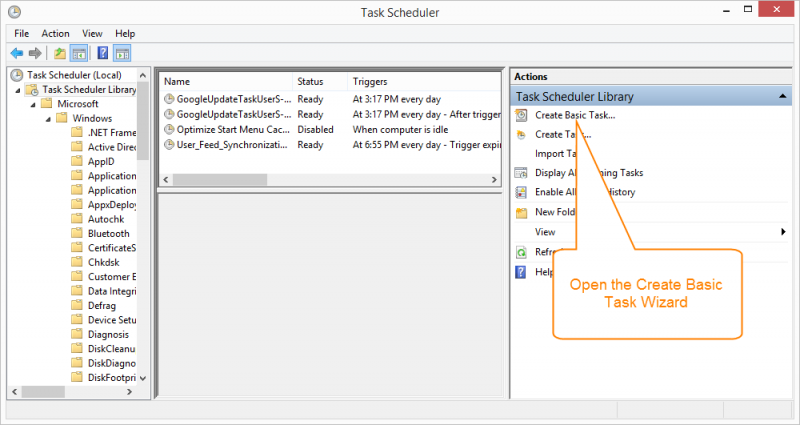 Find and open the Windows Scheduler. 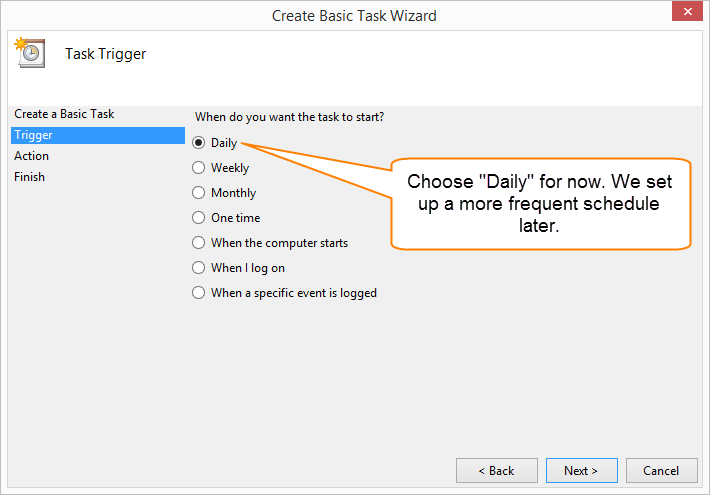 Open the Create Basic Task wizard. Enter basic information about the task. Indicate when the task will run. Within the wizard this will be Daily. After the wizard completes we will change this to every 10 minutes. 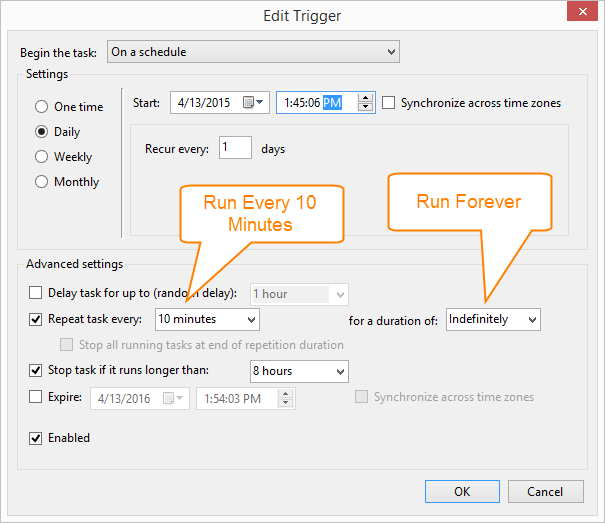 Tell the scheduler to run our script — MyCopyStormJobRunner.bat. On the next page, the confirmation page, click on “Finish” and the job will be scheduled. The next task is to change the job interval to every 10 minutes. 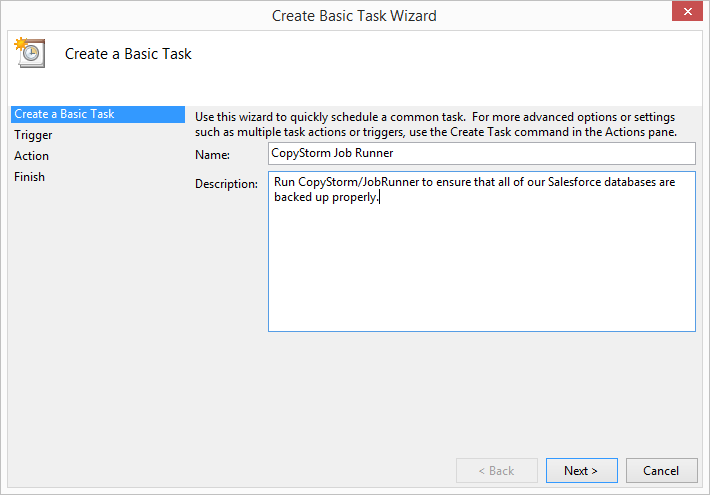 Open the Task Editor for the newly created task. Open the trigger schedule for editing. Update with the following parameters and save your work. This will cause CopyStormJobRunner.bat to be scheduled to run every 10 minutes (forever).